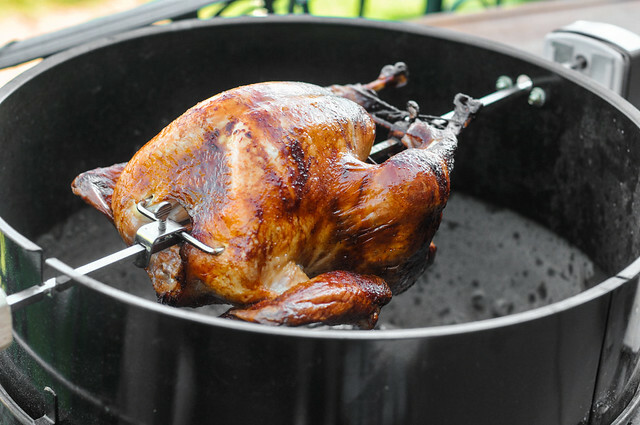 Happy Thanksgiving Meatwavers! If you're anything like me, you're probably busy in the kitchen right now prepping everything for a gigantic and delicious feast this evening. Then you get to enjoy that meal again the next day, and the next, and the next thanks to what feels like endless leftovers. 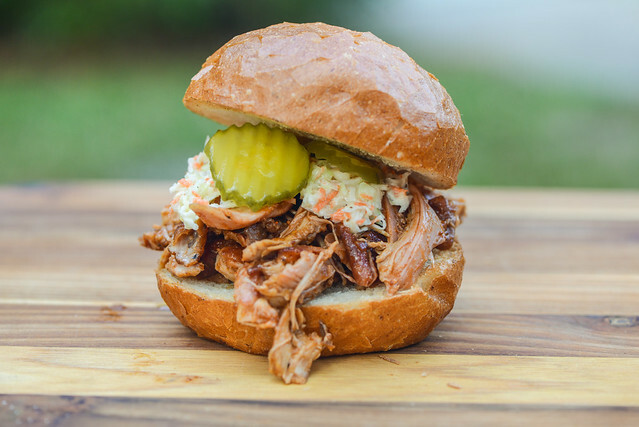 Seeing as I'm not much of a leftovers guy, the repetitiveness of eating the same thing over and over becomes unappetizing, so I'm always looking at ways to reuse that holiday spread in creative ways that makes it feel new again and I had what I think is a pretty good idea this year—pulled barbecue turkey sandwiches. I'll wager a good bet that come next Friday, you'll have a whole mess of turkey leftovers you need to find something to do with. I personally can usually only handle reheated plain turkey once—let's face it, it's never as good reheated and there are only so many sub-standard meals I can willing prepare for myself. That leaves me finding ways to reuse those leftovers in forms that are more exciting and delicious, such as in sandwiches, salads, and the like. 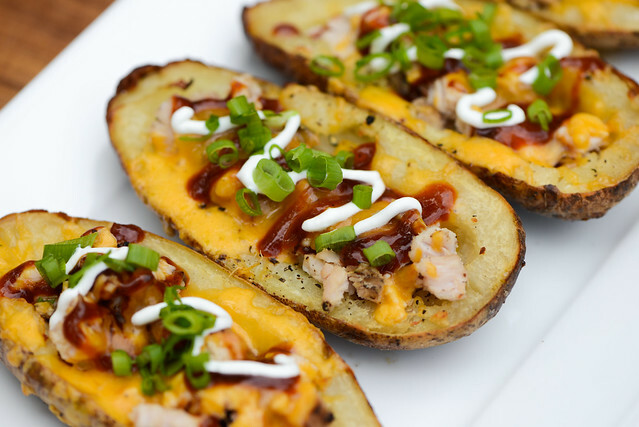 While it wasn't a Thanksgiving bird, I did find myself with a generous amount of leftover Texas-style smoked turkey a few weeks ago, and I really don't think I could have put it to better use than in these smoked turkey stuffed potato skins. Last year I took my inevitable Thanksgiving leftovers and pressed them into an incredible panini. Between those two toasted, crusty pieces of bread, the flavors of roast turkey, sugary-tart cranberry sauce, sweet and savory cornbread stuffing, and rich gravy combined into a killer sandwich that captured all the comforts of the holiday in one bite. I thought that for those looking for a smaller scale Thanksgiving meal, this would be a perfect flavor-packed substitute. But it would also require cooking each ingredient separately—not very practical. So it left me thinking—how could you capture a similar experience with days of work? 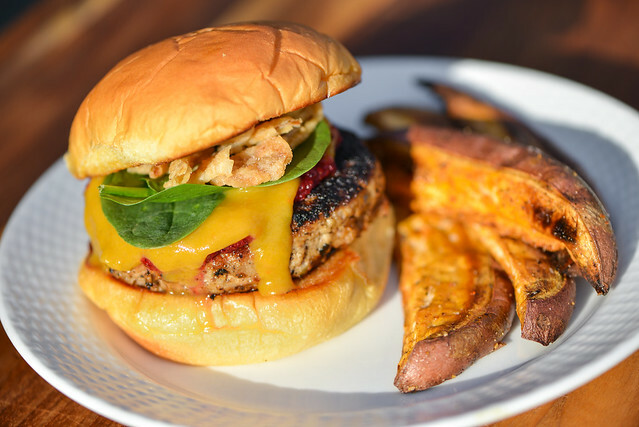 That answer: Thanksgiving Turkey Burgers.